RITUAL CVLT FEST is the essence of all RITUAL CVLT parties; multiplied, developed, amplified and taken to the nth degree, it becomes the festival we were all waiting for. 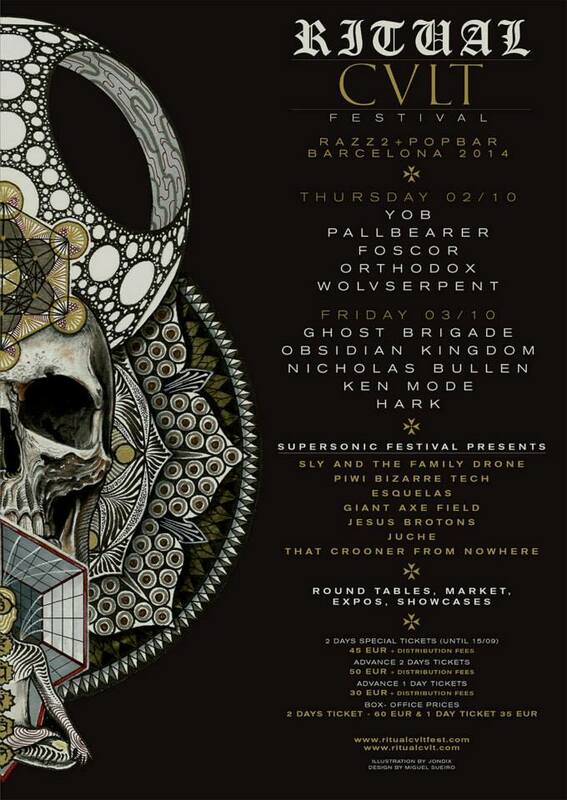 Barcelona is oversaturated with musical alternatives but it still missing an ‘indoors’ festival. An event held in a fully-equipped venue that will host a festival concept far from large events drawing huge crowds that can focus on artistic and professional connections with the rest of Europe. There’s none in the rest of Spain either. Our festival is characterized by a near and familiar approach that enables the development of other parallel activities with specific goals. 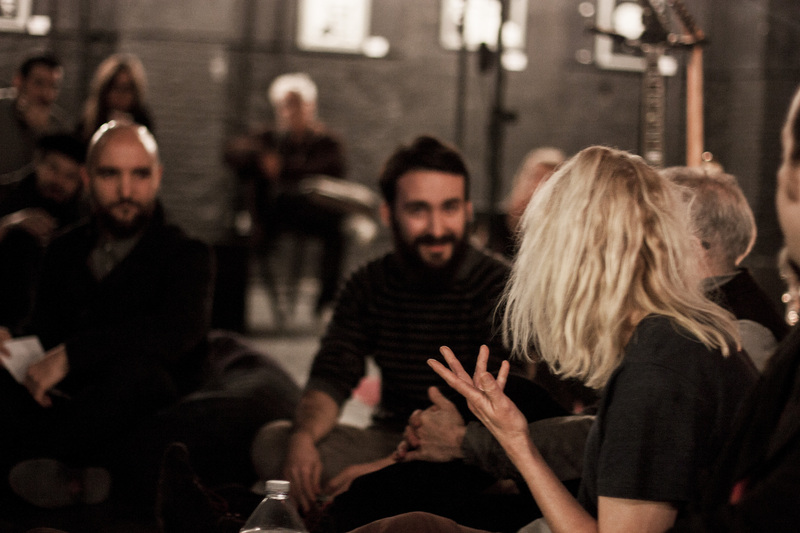 As part of our interest in developing relations in the European arena, RITUAL CVLT FEST aims at connecting professionals in the sector to promote dialogue and discuss different ideas. As an event, one of the main interests of RITUAL CVLT FEST is that of becoming a bridge between national and international professionals with an educational aim. There are some small format European festivals that are examples of outstanding management (Supersonic, Incubate, Amplifest, Roadburn, Inferno). 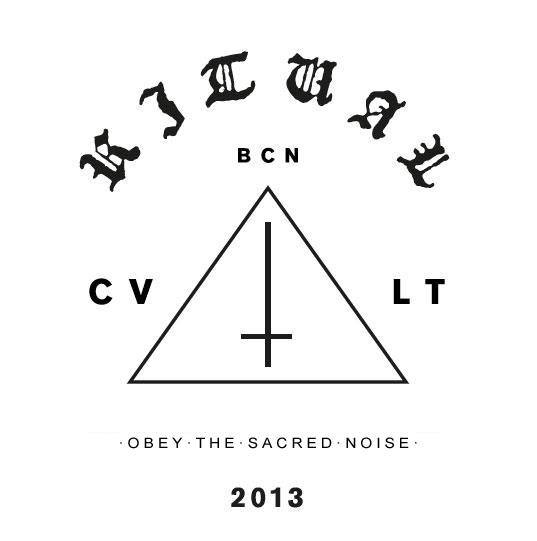 RITUAL CVLT FEST wants to be one of them. Our second major goal is to progressively attract an international audience by offering lineups targeted at a European audience, so to makes us less exclusively dependent on the local audience. An exclusive showcase of international and local experimental artists who travel betwen styles such as electronic, noise and vocal music. This display of artists will be personally selected by Lisa Meyer, director of the prestigious English festival SUPERSONIC, director of the exhibition HOME OF METAL as well as CAPSULE’s Creative Director. Every festival need parallel activities that make sense of the whole. RITUAL CVLT FEST will showcase retrospective exhibits, as well as the organisation of a record fair and related merchandising. As seen in previous RITUAL CVLT parties, we will count with the support and help from MONDO SONORO for the festival too. The festival’s official poster is the work of the prestigious artist and tattoo artist, JONDIX, who has created an exclusive work of art for it. Here’s the complete transcription of the conversation we held with Jarboe, Mark Cunningham, Rider G Omega (Obsidian Kingdom), Peter Emerson Williams, and David Sabaté (Mondo Sonoro), during the latest Ritual Cvlt Party #1. 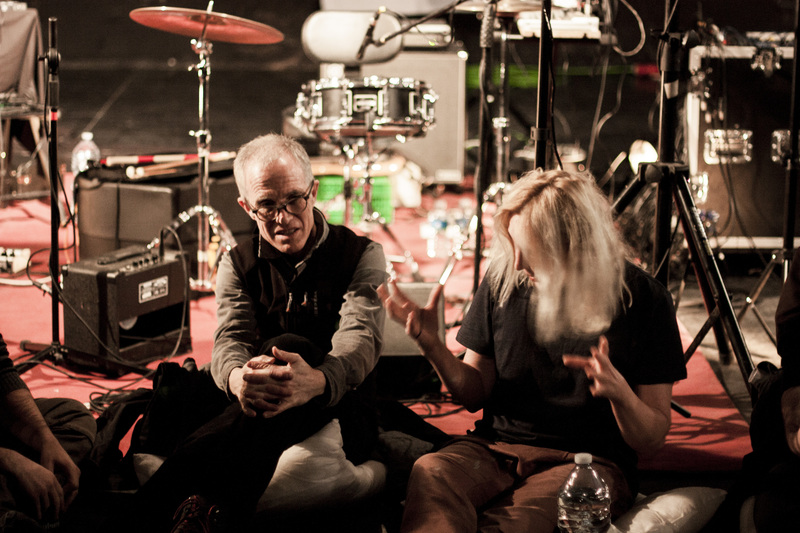 David Sabaté (Mondo Sonoro): Jarboe and Mark, how did you two meet each other? Jarboe: When I first went to New York City in 1984, Mark was the first person that Michael (Gira) introduced me to. Jarboe: (laughs) I know you don’t. I think it was in St. Mark’s Bookshop or something like this. Yeah, I’m pretty sure it was St. Mark’s Books, in the original location. Mark: Yeah, that’s where I was working. Jarboe: I know; you were working there and I was living there, and I was introduced to you and I was thrilled. Rider G Omega (Obsidian Kingdom): Did you know about him before you went to New York? Jarboe: Oh yes, I knew about all the artist that lived there at the time. I was very, very excited. RGO: So did you get to see any show by Mars? Jarboe: I don’t think so, no. Did you play The Kitchen, Mark? Mark: No, it was before that… We played The Kitchen in 78. David: So could we say that Mars was really an influence to you, then? Jarboe: Well, everything that was going on there at the time influenced me. Mark: Mars was just another piece of the puzzle of the No Wave scene. Jarboe: Yeah. Mars, DNA, Lydia (Lunch), Jim (Chance and the Contortions)… There was these situation going on that I had to go to. I got all my stuff up there and… come what may. RGO: Peter, where were you then? RGO: I was hardly even born, so don’t worry. I just recently listened to the only LP by Mars and I was really shocked by the music… It was mostly farts and screams and nonsense. Jarboe: It was very visceral, pretty straight. RGO: I agree with that, and I can certainly see the relation between that style and Sonic Youth‘s, for example… How and when did that scene end? RGO: I’ve read that the No Wave had a direct relationship to the international economical crisis that was going on at the time. Right now we have another one going on, and I think that there’s a link between the visceral quality in music and worldwide economical crisis, what do you think? Mark: I think that the crisis makes you rely on yourself more, maybe. I think that New York at that time as a poor city, and that was cool, because we could live on very little. And we felt very free; in that sense, there were no economical pressures on us. That’s very different from now. But I think that what is really repeating itself from that scene is the idea to do it yourself. Do things yourself. You want to start a band, start a band. Peter: These things are cyclical, just like economy. When the economy is stronger and there’s a bigger middle class over arching structure… art is more about pushing against that, whereas economic crisis and other kind of crisis really break down routine and structure, and that uncertainty gives birth to things that aren’t just a reaction. Jarboe: I didn’t see this at all. (laughs) The economy had nothing to do with my going to New York, it was purely for the art. I had a collection of music that was three thousand albums and there I heard several seminal bands such as Einstürzende Neubauten, Swans and White House. And I felt that these bands were creating a sound that I had not heard before, something very different. And I was very attracted to what I saw, especially the muscular aspect of Swans. At the time I was a bodybuilder and a Bondi boxer and I was a powerhouse, and so I was attracted to the physicality of the music; I lifted weights to the “Filth” album. Swans were doing something that nobody was doing, and the slowness and the power and the dirt is what I responded to, and that’s what I had to be part of. For me it was purely the artistic aspect of what they were doing, it had nothing to do with anything else. And I think Michael was looking for creating a sound that was groundbreaking and different. Swans were outsiders, they were never part of the post-No Wave. We were never part of any scene at all in New York City. Swans have always been outsiders, they’re still outsiders. They have influenced a lot of other groups but they’re not part of any scene or any sound, they’re isolationists. To me, it was really about hearing something that got my attention and interested me once again in doing music. Living in New York was great; we lived in a rear store from 93 Avenue B, but the price we paid for living there, cheaply as it were, is that we took our life in our hands every time we left the door. Jarboe: We had a solid steel door with a police lock and all kinds of deadbolt locks, we had a sign that said “Death outside, lock door” and every day we stepped over heroin addicts’ needles and puddles of urine, it was a very nasty neighborhood with cracked houses and burned up buildings. RGO: So you did notice all this poverty, even if it didn’t have anything to do with the reason you moved to New York. Jarboe: Well, the artists were in the East Village because they could afford it, and the economic aspect of it was that they were all there, hence it was the part of Manhattan where you took your life in your hands. When I moved to New York, taxi cabs would not come to Avenue A. So we were on B. (laughs) Michael told me one time: “Kid, when you leave the door, take it right; because if you take it left towards C, we will never see you again“. But what got me up there and made me leave my husband and my mother and my life behind was their sound. Their sound just set me on fire. And I did everything in the world: I was a roadie, I carried their gear, I chipped press kits with the ice and snow and I worked really hard to work up to my audition. I bought a bass, then Michael changed it to be a sampler; I jumped through every hoop out of the sign and then when I joined, they were like “OK, so now that you’re one of us, you carry your own gear“. I got tough. There’s no lady bill going on there, you’re one of the guys. And that changed me forever. RGO: How was your Rite of Passage, if I may ask? Jarboe: Well, they were loud. We got a disciplinary measure because in rehearsal we were at the violent level of a jet aircraft taking off. Mark: Swans was the loudest band I ever heard. Jarboe: Yeah, thumbs up. Because I had to be tough, you know? Be strong, be hard, flex you muscles; to quote Michael Gira. It was exhilarating but, again, I want to say that all this prefacing with something: I was coming up there from privilege, I was coming up there from American marriage to a corporate man, a beautiful condominium, a box set of Alice Tully Hall with every opera and ballet. I came from a privileged situation going into the slums of that scene. So it’s different from somebody that didn’t come from that situation. And having said that, Michael also came from that situation: he came from privilege, he moved to New York and he was an artist, he graduated from art. And a lot of people that go into art do it because they can afford it; they are in a situation where they can study art instead of, I don’t know, plumbing. So he was willing to go up there and do demolition work and construction work; hard manual labor to be an artist in the East Village. As were they all. Kim (Gordon), Thurston (Moore), all of them. That’s what I saw, like “all these guys have art degrees but they’re up here sacrificing themselves for their art“. Jarboe: …to take it! To take a step into the situation up there, which was brutal. Mark: Yeah, that’s what caused so much activity up there. Peter: It’s almost like Siddhartha, when you see the world outside, and the art, or the vision of it, calling and you decide to leave it all behind. And no matter where you come from, it’s always going to change your identity, it’s going to change the way you see the world, and your values are going to change once you take that step. RGO: Did you ever have anything similar in Norway, maybe during the Black Metal era? Peter: Well, I was already in the US when that really started happening; Mayhem started around the time that I left. So there were the first seeds of that. At that time, Norway was mostly a middle class society and they were rebelling against that, they were pushing against a very safe, a very comfortable way of life. They created a lot of chaos for themselves. Peter: In a lot of ways, it’s almost like the strains of the original mythology creeping back through their psyches into their art and into their actions. Like something that has been buried for a long time and out it comes. During that original blast, I got in touch with a lot of those people, and they were surprised I could write them in Norwegian. The sound of it was raw and really primitive, almost like the old Robert Johnson blues recordings and had a lot of that similar kind of spirit to it but, at the same time, what they were playing was pretty avant-garde; the structure of the songs and the changes and everything, it had something that really interested me. 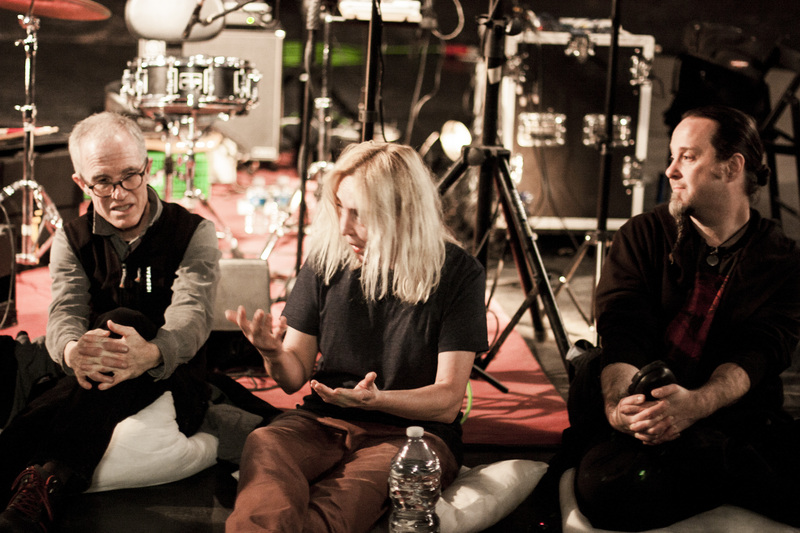 David: Jarboe, how do you remember your collaboration with Neurosis, and what did you learn from each other? Jarboe: We knew of each other before we finally met in person, and when we did it was just a lovefest, it was like we were brothers. We instantly understood each other and we were writing for years – because they were on the road all the time – to make this happen, so it was just a matter of them getting out of the road to do it. I would say that, right now, other than the “new” Swans, Neurosis is the only band where I feel like I’m me; I felt like I was home when I performed with them. They’re not traditionally Metal, they’re doing orchestrated wall of sound with the visceral quality of Metal, in the same way that Swans always did. I gave my heart to that; the recordings that we did, I wrote from my personal experience: a song about my mother, a song about my father’s surgery on a brain tumor, I wrote about my life, my real life. And so, it was completely genuine, when we performed, because it was coming from a place of tremendous integrity, I guess; no artifice at all. I love performing with them as well. In fact, when I stepped onto the stage and I felt that electricity shooting through my body; that’s what got me interested in Rock music again, in doing a more Metal-oriented Rock music. Member of the audience: Mark, in the recording of “No New York“, did you work with Brian Eno at all? Member of the audience: Because I always thought it was a very strange combination: the lo-fi New York scene with his perfectionism. Mark: Well, he was someone who had some kind of antenna for things that were groundbreaking somehow, and that would have repercussion in the future. When he came to see us, he was living in the city at the time. We was looking around, and I don’t know how he came upon us, but he did. Member of the audience: He approached you. Mark: Yeah. He approached us. We knew who he was. (smiles) He were a little shocked but we actually got along really well; we had a lot in common, we had some other interests like ethnic music, for example. African music and things like that were also a big influence on Mars. During the recording, he basically left us alone; he wanted to record us the way we were. Mark: Yeah, he is, but he wasn’t with us. He didn’t want to interfere. He wanted to do it like it was. Some of the bands were less happy than others, but we were pretty happy with how it came out. 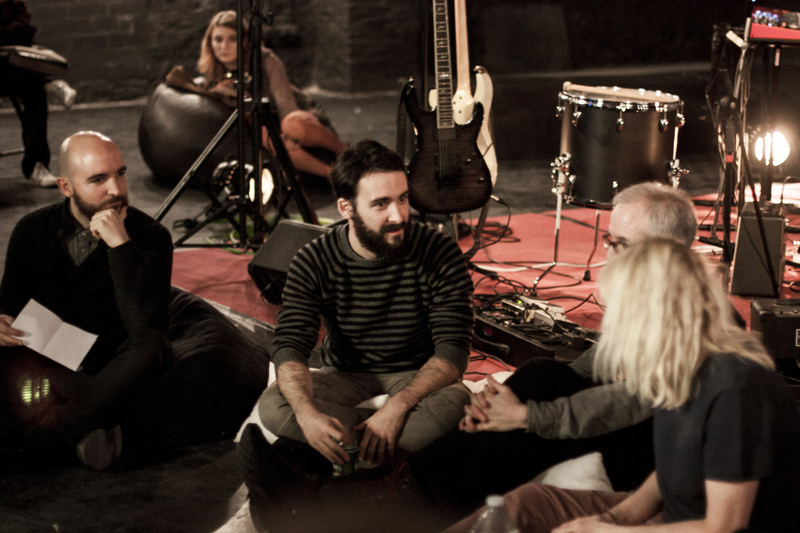 Member of the audience: But the collaboration didn’t extend any further. Mark: No, no. We stayed in touch, I mean, for as long as he was in the city we were seeing each other but musically speaking, no; it was just for the recording and mixing of the record. RGO: I guess everyone wants to hear some music now, so thank you so much for this delightful conversation; Mark, Jarboe, Peter and David. Pictures by Ideophony. 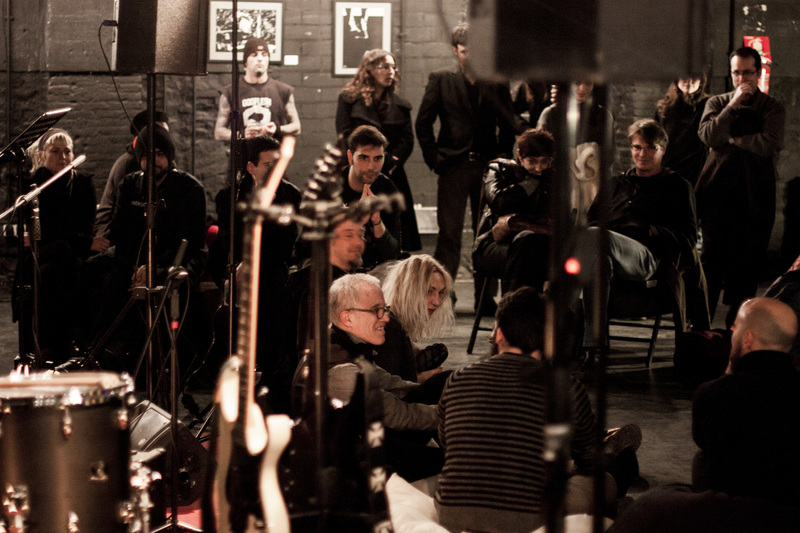 Read the full report of the event on Mondo Sonoro. Do you want to meet Jarboe, Obsidian Kingdom and Mark Cunningham in flesh and blood? Then come early to the first RITUAL CVLT party because we will be holding a round table in which you will be able to speak to the artists before the show! With the exclusive participation of Mondo Sonoro. ¿Quieres conocer a Jarboe, a Obsidian Kingdom y a Mark Cunningham en carne y hueso? ¡Pues ven pronto a la primera fiesta RITUAL CVLT porque vamos a celebrar una mesa redonda en la que podrás hablar con los artistas antes del concierto! Con la participación exclusiva de Mondo Sonoro.